Where Should You Go in DC? As the Ithaca Tompkins Regional Airport (ITH) gears up to introduce our new non-stop service to Washington Dulles International Airport (IAD), we're giving you a chance to see where you'll have your best time in our nation's capital. Take our quiz to find out where you should go during your next trip down to D.C. Service begins October 4th, 2018, book your flight through United Airlines today! It's a Sunday evening, where can you probably be found? Out of these words, which best describes you? If you could travel to any of these cities, which one would you choose? You just had a long and stressful day at work, how are you relaxing? In your opinion, when's the best time to take a vacation? Which subject was your favorite in school? You are on a vacation in the mountains, where can you most likely be found? Gear up! You're going biking along D.C.'s Potomac River! With tons of easy and scenic trails, you won't need any training to enjoy this cycling excursion. You'll pass our nation's most famous historical monuments while also being able to enjoy all the city has to offer, pull off to grab a snack or drink, or just take photos of your adventure-filled visit. Many other attractions just outside the heart of D.C are accessible by bike, see for yourself by visiting http://bikewashington.org/routes/all.htm (Pictured: D.C's Potomac River and Washington Monument). 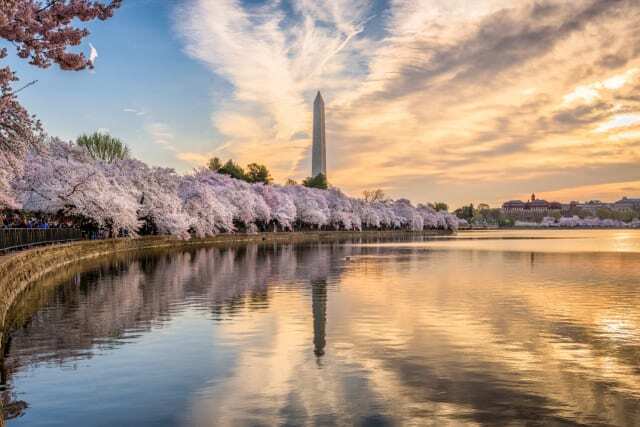 As the Ithaca Tompkins Regional Airport (ITH) gears up for our new non-stop service to Washington Dulles International Airport (IAD), we're giving you a chance to see where you'll have your best time in our nation's capital. Take our quiz to find out where you should go during your next trip down to D.C.! Service begins October 4th, 2018; book your flight through United Airlines today!